The granite historical monument in front of the First Presbyterian Church states that "A house of Worship has stood on this site since 1675." This date was chosen as the beginning of the church since on May 27, 1675 the frame of the Meeting House, which became the first church building, was erected. The Meeting House lasted for 128 years and was also the seat of Woodbridge Township government until 1700. The founders of Woodbridge were Puritans and the church was non-denominational until 1710 when it became Presbyterian. 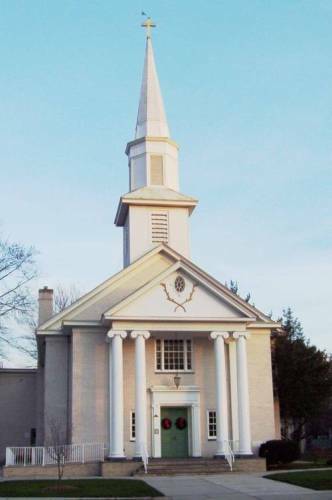 The congregation is the 6th oldest in New Jersey and the third oldest Presbyterian Church in the state. There have been only two distinct buildings on the site of the present church: the Meeting House, and in 1803, Jonathan Freeman erected a building "sixty-six by forty six feet." The 1803 building existed in its original appearance until about 1875 when it was given a Victorian look. In 1972, the original building was completely renovated and the church took on its present appearance. Before renovation it was known as the "Old White Church" and it still retains this affectionate title. 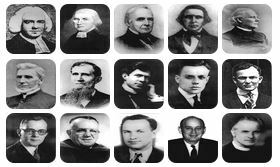 Over its 330 year history, the Presbyterian Church has had a total of 23 ministers which are listed below.